Embedded Systems – Eagle Lake Systems, Inc.
Let Eagle Lake Systems help you architect and design a customized solution for your next real-time embedded system challenge. The Architect is responsible for the conceptual integrity of all aspects of the solution as perceived by you — the client — by representing your interests in the tradeoffs among Function, Performance, Cost, and Schedule. 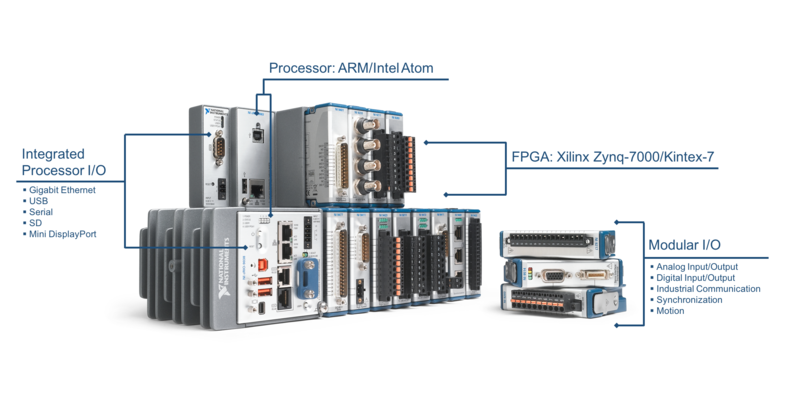 Our Certified LabVIEW developers are expert in designing deterministic real-time applications using LabVIEW RT + FPGA on RTOS targets, including: Phar Lap ETS, VxWorks, and NI Linux Real-Time. We specialize in delivering high-performance systems using National Instruments embedded controllers with flexible reconfigurable I/O.